Developing a property is an extensive and time-consuming process that requires a lot of industry insight. 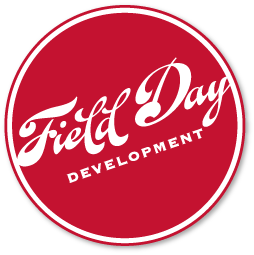 Field Day will serve as your partner, drawing on our knowledge and experience to work with you in creating something great. Here’s what we do. The service-mix will be personally tailored to your project. It’s easy to work with us and we can help you discover the right suite of services needed for your project. Check out some of our projects here!